Turn by Turn directions to the MARC Clubhouse on the Map to the Clubhouse page. Click the links in the title header or in the Sidebar. You will be sent off to Google Maps. You can print the directions and map from the Icon at the top of the pages Sidebar. The Meriden Amateur Radio held a successful ISS event at the SCOW center in Wallingford on Saturday January 18th, 2014. The STEM Academy students got to ask Astronaut Koichi Wakata from The Japanese Space Agency about 15 questions concerning life and activities aboard the International Space Station. MARC members participating in this event were K1SEZ Paul, N1ZN Jim and N1API Al. Also present were Betsey K1EIC the Connecticut Section Manager and WA1SFN Douglas the Connecticut EC. Greg Colonese a teacher at Pond Hill School in Wallingford conducted the event for the STEM Students. Other invited guest were present from Meriden and Wallingford and spoke after the event. The students talked by Telebridge to K6DUE the Amateur Station at Goddard Space Center in Maryland where they were phone patched through a station who was in contact with the ISS as it passed over the East Coast of the United Station. The total time of the contact was about 10 minutes and just before the ISS went below the horizon the whole room of about 80 people shouted "arigato" in unison to Koichi, which means thank you in Japanese. The whole of W1NRG.com is now keyword searchable from the Search Page. Input your search keyword(s), Call Signs etc. and get a results list. This will also search for relevant images (photos) in a separate tab. As of this posting, the returned results are mostly outdated. This because of old web crawls from the former site and forum. Give Google a bit of time to reindex the new pages and the returned results will improve. The MARC BBS-Forum is back online! Join in the lively discussions and get the latest Ham Radio news and opinion. 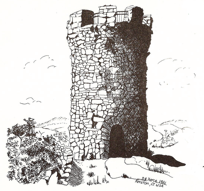 There will be a Castle Craig Chapter Net on Friday January 31st 2014 on the club net frequency of 28.375. The purpose of this net is to kick off the 10-10 Winter QSO Party. I hope that all club members will join in. Even if you do not have a 10-10 number you are worth 1 point to the rest of us who do and are submitting logs. The QSO party runs from 0000 UTC February 1st 2014 to 2359:59 February 2nd 2014. If you are a paid up 10-10 member your support of the club, and our chapter would be appreciated. Please make as many contacts as you can, and submit your log for credit. Remember to mention that you would like to credit Castle Craig Chapter of 10-10 with your score. We will start taking checkins at 6:45 PM local time, (23:45 UTC), and I will be the Net Control. I would like a station to help with relays if needed. The procedure is simple. At 7 PM local time, (0000 UTC Feb. 1st), we will start from the top of the list, (myself), and I will give my 10-10 information, that is Call, Name, QTH (state), and 10-10 number. The next station will be called and that person will give their information and then stand by. We will proceed to the bottom of the list. The conditions on 10 meters have been quite good the past few months. There have been openings to different areas of the world on most days and few days when no activity has been heard on 10 meters. I expect that this year's QSO party may have the best conditions seen so far in the sunspot cycle. Also, as you talk to local, (Connecticut), stations on 10 meters and also on the different bands please mention this QSO party and ask them to check 10 meters at times during the weekend to participate. Please remind them that if they are in the local ground wave area and members of 10-10, that The Castle Craig Chapter of 10-10 is their local chapter and we would appreciate their support for the QSO Parties. We've seen a few non MARC club members submitting their score for the chapter. We'd like to see more. Castle Craig usually finishes pretty well in the chapter standings. We'd like to do better. If you have your collected 10-10 numbers sitting now is the time to send them in or go to the 10-10 web page at http://www.ten-ten.org/memship.html and either use the online shopping cart to join or fill out a paper application and mail it. There is a special three year incentive plan for $40.00 or you can join for the basic $15.00 a year. 10-10 has a membership plan with electronic delivery of the 10-10 News and there are special rates for new and rejoining members of $10.00 for one year and a three year incentive for $25.00. It takes about three weeks to get your number back via mail but of you apply online your new number will come via email in just a few days. Remember you need to be a paid up member for your log to count for awards and also toward the club score. A good incentive for joining is that ALL 10-10 awards are now FREE, and most if all do not require QSL cards and can be applied for via email. You will receive award certificates by return mail, (or), for many, you can ask for a PDF certificate to put in your computer or post on your web pages. Stop back soon to see how the site is progressing.